In present times, women seem to be highly inclined towards crocheting a lot of fashionable accessories like bracelets and rings to look unique and trendy. 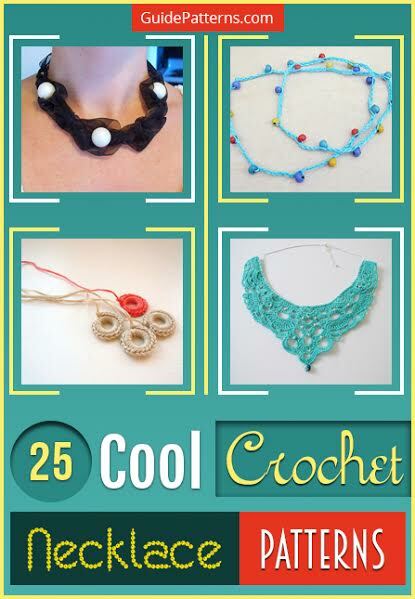 Take your creativity a step further and attempt crocheting gorgeous looking necklaces for yourself to add finesse and style to your appearance. 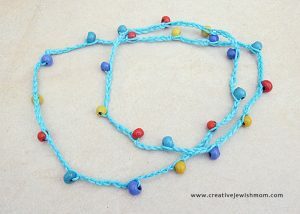 Have a fun-filled experience in making these intricately designed, colorful necklaces by following the simple steps. 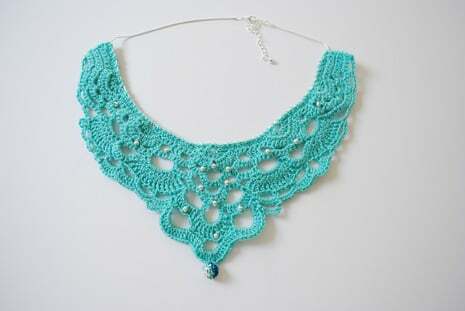 Doesn’t the pattern of this necklace crocheted with beads look amazing? 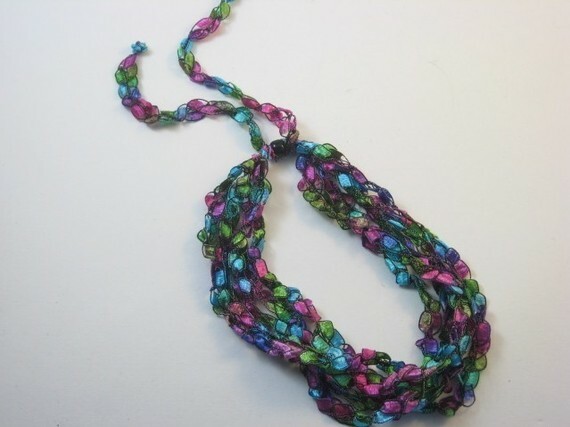 It will be a perfect pick for your short gown or crop top having a plunging neckline. You may choose the color in accordance to your outfit. If you desire to adjust the size of your necklace, attach a tassel to it rather than hooks. If you have planned to wear a light blue gown to the summer prom party, then this chandelier style blue necklace with beads will perfectly match your outfit. 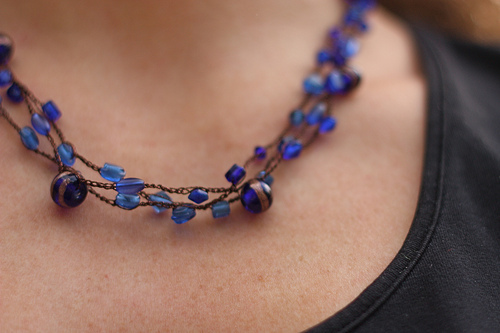 A big blue bead attached at the bottom intensifies the beauty of this necklace. 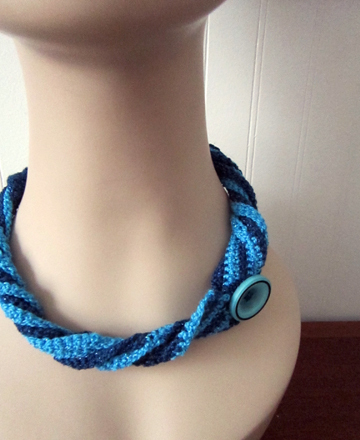 You can also crochet a blue bracelet and a ring to get the complete set. 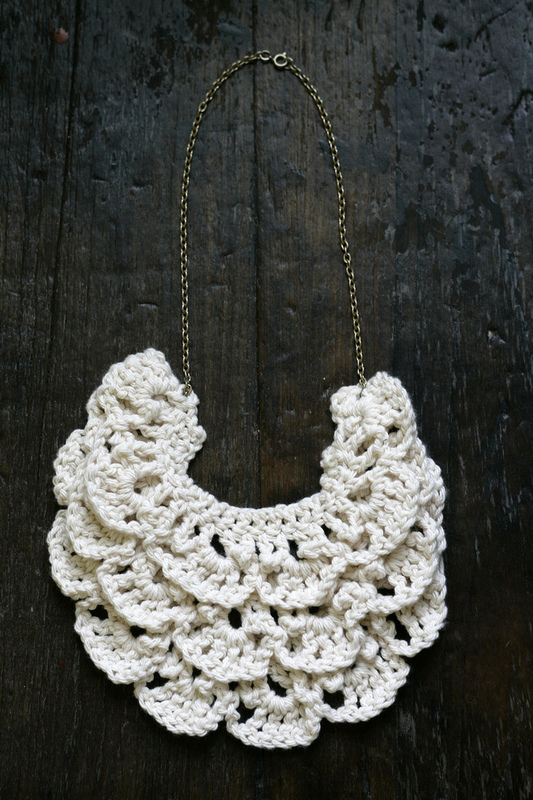 This necklace exactly resembles the bib of your baby, having a style statement of its own. 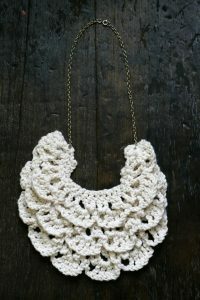 If you have just gone through the blissful experience of motherhood and are looking for a safe accessory that will not hurt your baby as well as help you retain your style, then the bib-styled necklace is apt for you. You can choose colorful combinations. If you have prominent collar bones, then this mesh-styled necklace will suit you well. 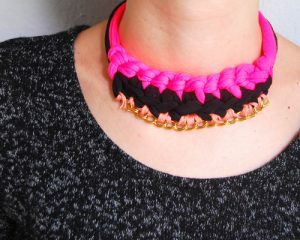 You can shorten it too and make it look like a choker by attaching two hooks to it. 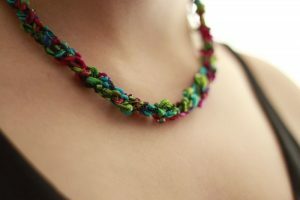 Another unique idea is crocheting the strands of a necklace and inserting beads into it. 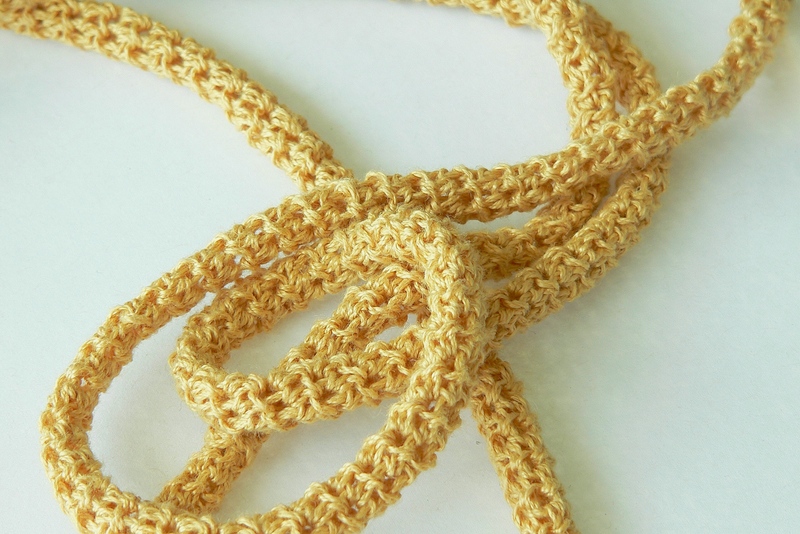 This pattern is aptly suited for your long flowing skirt. 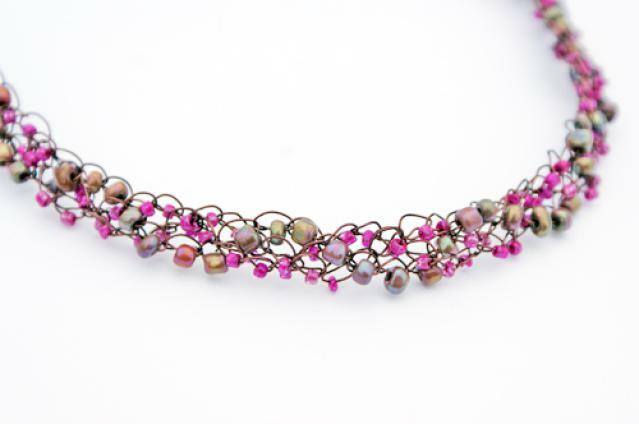 You can opt for smaller sized beads if you have trouble with the bigger ones. 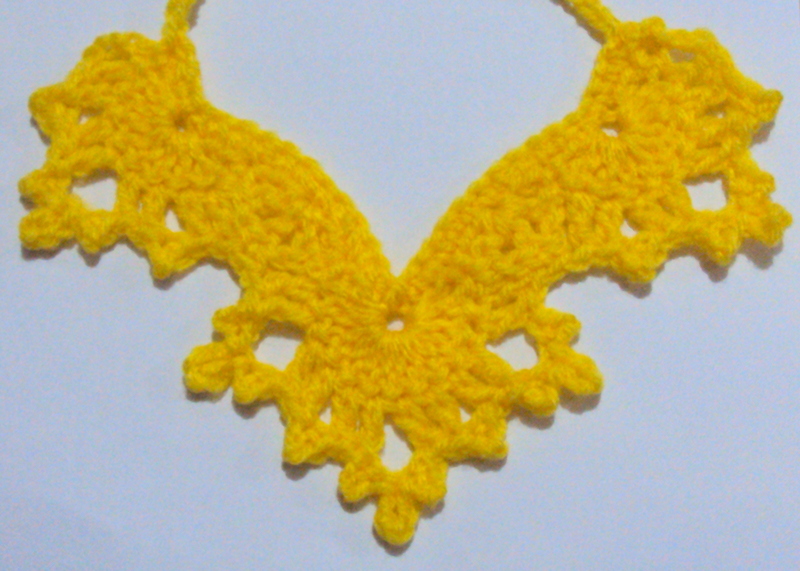 Take a look at this bright yellow necklace. 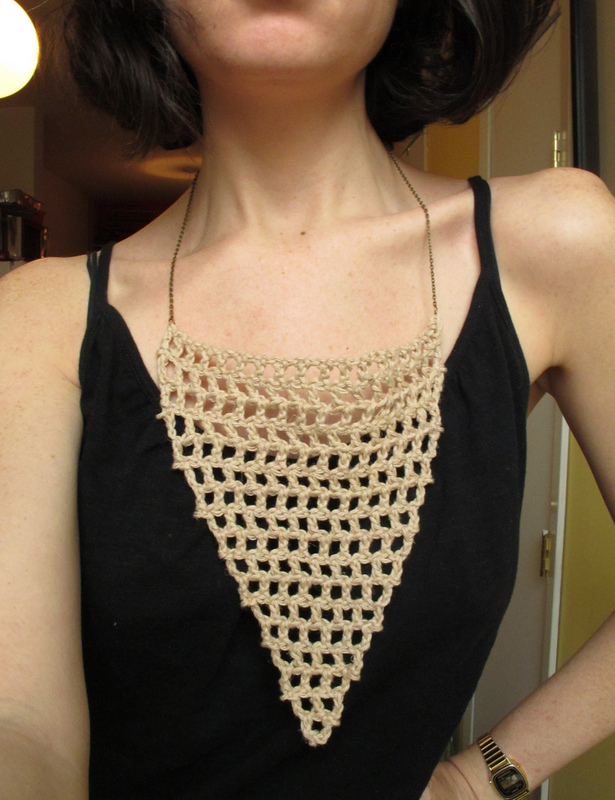 You can crochet something like this for your little daughter to wear with her frilled frock. The V -shaped design can be changed to a U or round shape as per your choice. After you have crocheted a couple of things, you may try your hands at making this lovely necklace using two-colored threads, preferably contrasted ones. 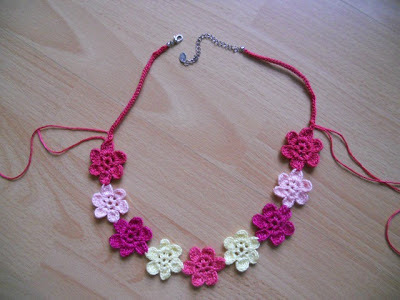 The necklace can be joined using a hook, and you may replace the button with a colorful crochet bow, worked separately. If you have a long neck, then this pattern will suit you well. 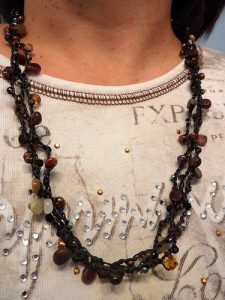 Follow these simple instructions to make this long beaded necklace with a combination of beads of varied size. 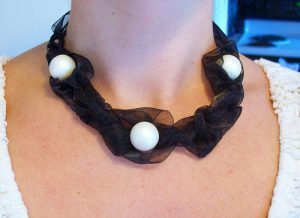 Take a look at this fabulous necklace made of black using ribbons and pearls. You can add a white ribbon too in case you are wearing a checked outfit. 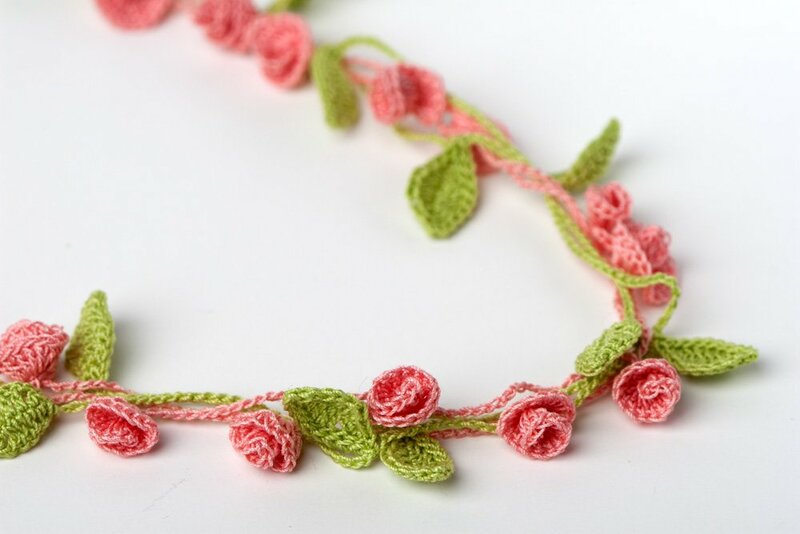 People who have mastered the art of crocheting can have a fulfilling experience in making this unique rose necklace. If you find this pattern a little difficult try making a single rose of a bigger size and attach it to a strand. 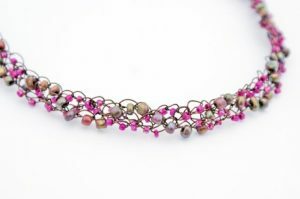 You are just a few steps away from crocheting this wire necklace using a combination of small and big beads. This wonderful yarn necklace is a perfect pick for the hot summers as it will make you look fashionable as well as give you comfort. 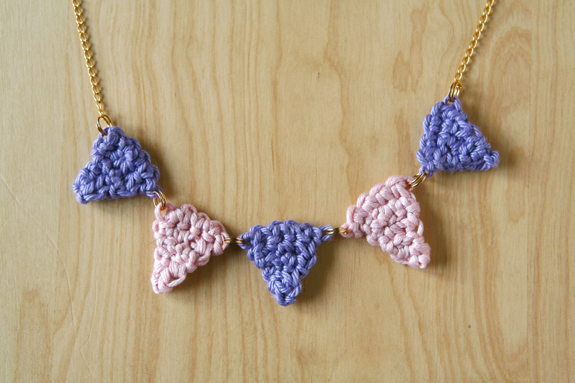 Having a funky look, this ladder necklace is an ideal accessory for college students. If you plan to wear it to a party to complement your short gown, then you may crochet a long single stranded necklace. 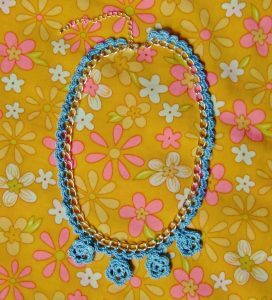 This is the perfect gift that you can give your little angel on her birthday to wear along with her pretty frock. Choose the thread color keeping in mind the color of her outfit. 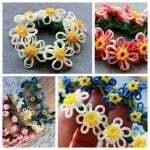 You can also make a big flower in the middle in place of the smaller ones. Here is a perfect gift for your best friend. 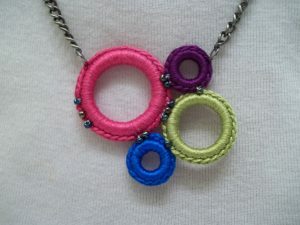 A nice round pendant in the middle containing a nice and touching message instead of the two beads is a good idea. 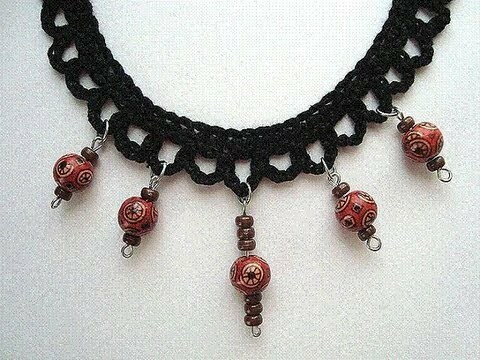 If you already know how to crochet then go by the instructions in the video to make this stunning black necklace for yourself. These beads help in making this simple necklace look more unique. 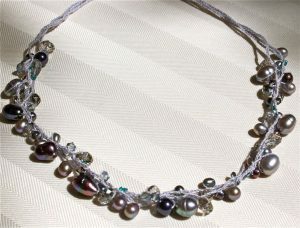 They may even be replaced with colorful pearls or small crystal balls. Another cute looking neckpiece that will make your pals look at you in awe when you wear it. 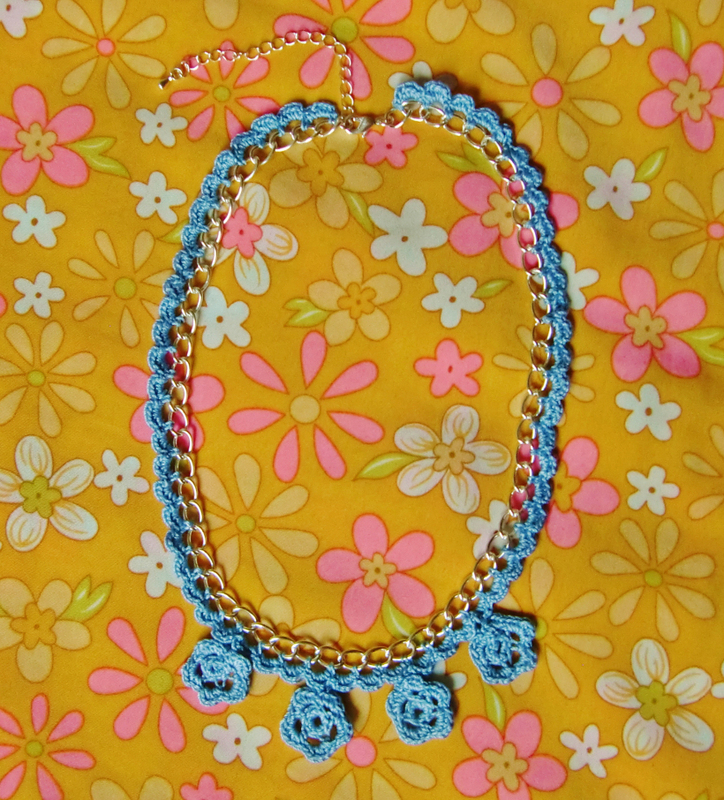 Gift your princess this lovely crocheted necklace decorated with colorful beads on Christmas. You can even use some pink thread if your daughter is passionate about pink. 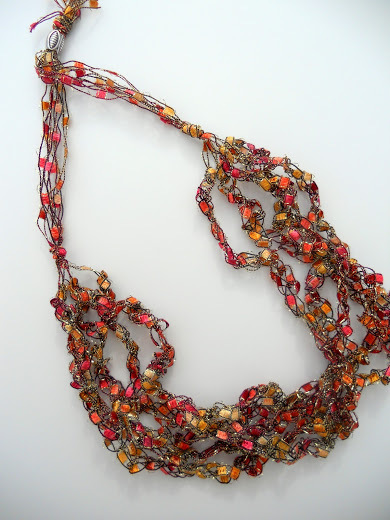 Red, yellow and orange beads will go well with the pink necklace. 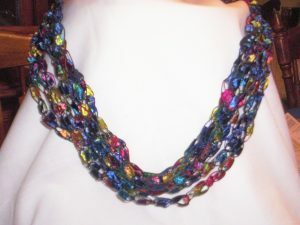 This ravishing, colorful necklace made from fabric is a cool choice for any summer party. 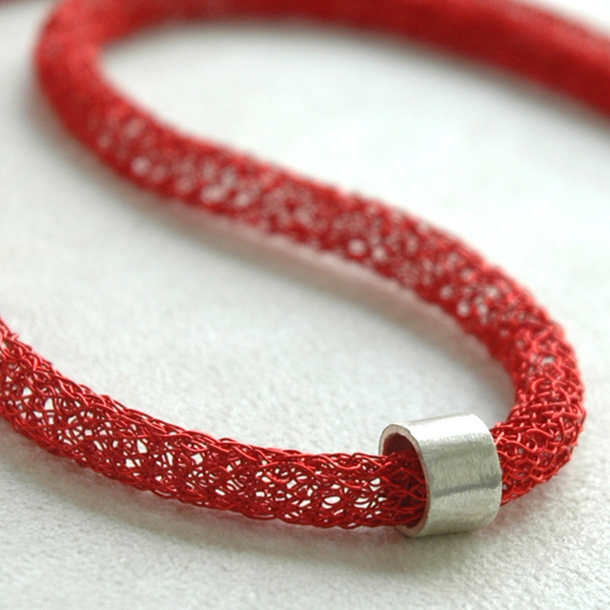 Now you have a variety of designs in hand. So what are you waiting for? Get started with your favorite pattern and have a joyous experience in making a decorative necklace for yourself.